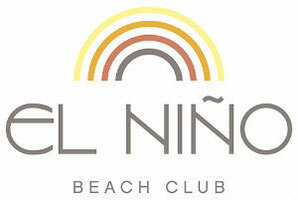 Wine list - De website van elninobeachclubcom! This energetic Chilean will almost jump out of your glass; it's that vivacious. A fresh and fruity sauvignon blanc with a tropical feel. perky citrus fruit, a hint of spicyness and a long dry finish. With a meal or enjoyed on its own on the terrace , this juicy chardonnay is versatile. The taste, bursting with elegant white fruit, makes this an easy-drinking wine. the Rueda shows what Spaniards mean by the words ‘juicy thirst quencher’. gooseberries and pungent citrus aromas. This ‘Golden Oldie’ from the French Bourgogne region is made from ancient grape vines. A super-classical chardonnay with hints of butter, flowers and ripe yellow fruit. The Portuguese sun has done this rosé well. Thirst quenching and filled with red summer fruit. that reminds you of fresh raspberries will treat your lips to a summery sensation. spices and flowers, combined with an elegant acidity. with sultry flavours of dark fruit and herbs. you can prepare for a strong taste sensation of black currants and juicy blackberries. this Spaniard really shows you (and gives you that taste) that age really does play a role. It is easily digestible, original and full of summery red berries. this wine offers a lingering and mouth-filling taste experience. La Jara means ‘pebble’ and it are these stones that radiate heat on the grapes at night. And that creates an extremely fruity Prosecco. bursting of raspberry fruit and at the same time stays lovely and dry. It was quite a labour to find a delicious non-alcoholic wine, but it worked. Taste white fruit and a soft, festive mousse. 100% chardonnay and 200% pleasure. Ripe peaches and apricots combined with a touch of creamy mousse result in an unforgettable champagne experience.